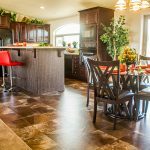 Kit Home Builders West has earned a well deserved reputation for providing quality value oriented manufactured homes. KIT’s dedication to providing home buyers the best for less has been sustained since the mid 1940’s. The Kit Cedar Canyon model 2065 is the latest example of this long standing tradition of quality, affordability and customer service that is synonymous with homes produced by this respected manufacturer. 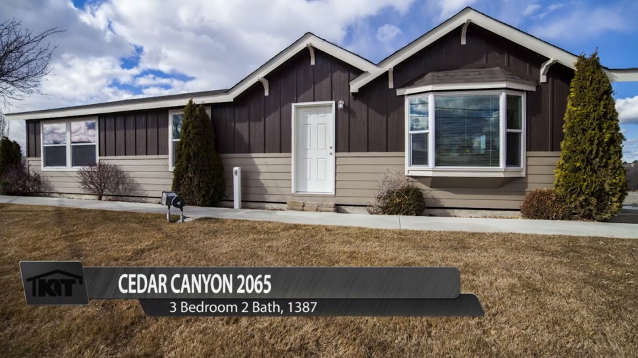 This Cedar Canyon model is 28’ wide and 52’ feet in length with 3 bedrooms and 2 baths with 1387 square feet of well conceived livable space. The sense of spaciousness is apparent upon entry to the open living room with large windows that allow outside light to illuminate the features and amenities of this well designed home. The kitchen of this Cedar Canyon model is not only visually appealing but is designed for the convenience of the homemaker, with handcrafted cabinetry, top grade appliances and fixtures, lots of cupboards, and a deep stainless steel sink. The large snack and servicing bar is convenient for informal dining with functional access to the open living areas for gatherings of guests and family. The multi-purpose laundry and utility room with exterior access to second bath and adjoining kitchen is practical and convenient. Utility room also features an additional shelved pantry adjacent to the kitchen. The large private and inviting master bedroom features a full length closet, double large windows and ample wall space for furniture arrangements. The en suite luxury master bath features a relaxing oversized Roman soaking tub, a separate 60” walk-in shower, and dual his and her sinks. Bedrooms #2 and #3 are of good size to accommodate furniture arrangements and large closets to satisfy the needs of family members and/or guests. 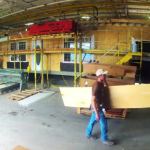 Kit Home Builders West is a quality and efficient manufacturer with the flexibility to customize existing floor plans to meet the needs and desires of the manufactured home buyer. Kit Home Builders West is dedicated to 100% customer satisfaction by delivering a home exactly to customer’s expectations–every time!